I have finally resolute to paint my fingers and my toes, for at least a month of procrastinating. I did this since we have a party to attend to last Saturday. I guess, pampering me once in a while wouldn't hurt at all. No! I didn’t go to a salon to do that I did it myself. 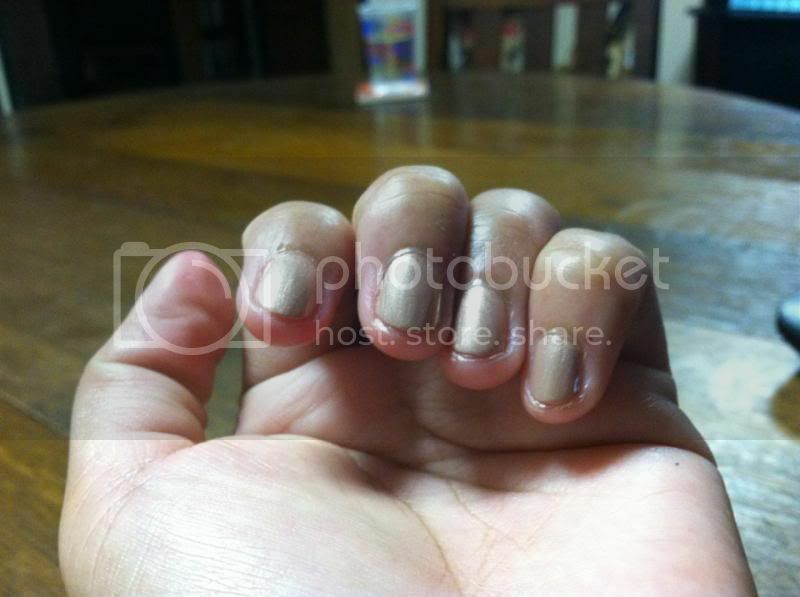 Since I know how to do manicure, saving extra bucks would be a good idea. I don’t have a bad cuticles and such so it took me at least 30 minutes to finish my fingers and toes. Of course, I didn’t work on digging my fingers that’s why painting them with my favorite color would be faster. Here you go! If ever you desire me to clean your toes and fingers, just buzz me. As long as you are in the same area as I do, will definitely do a home service, I am for real. Geez, I need to do some cleaning on my nails. I love to paint my nails once in a while especially if I have party to attend. We really need to pamper ourself. You have a beautiful set of feet sis. Nice work, it is quite advantageous for women like us to have skills like this. How cool is that? You save up a few dime and you get yourself pampered as well! I never had the skill so I have no choice but to go to the salon and pay. I rarely have my nails painted though; only during special occasions at Church which is every 3 months. Parang gusto rin. LOl But I do agree, girls needs to pamper themselves once in a while, basta ba sa kanya ang gastos. I wish I could also manicure and pedicure my own hands and feet. I love the color of your toes too. Great work eh! I am just lucky I have a niece who takes good care of my fingernails and toes, hehe! I also have this skill about manicure sis, I love painting my nails with polish that fits my complexion. If I feel so lazy, I go for a home service manicure and pedicure but I am doing it myself more often.